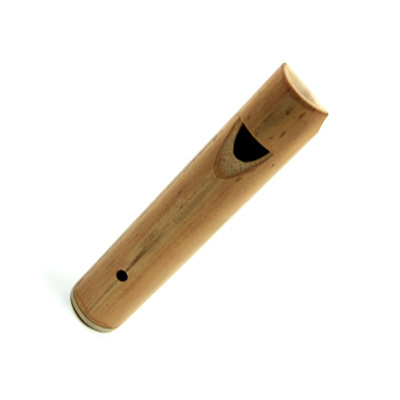 This clever whistle made of bamboo imitates the voice of a cuckoo or an owl. Use the thumb hole on the back to modulate the tone for a cuckoo or to deepen it for an owl. It is a wonderful effect instrument, and also good for rhythmic playing. Use the thumb hole to modulate the tone for a cuckoo or to deepen it for an owl. It is a wonderful effect instrument, and also good for rhythmic playing.